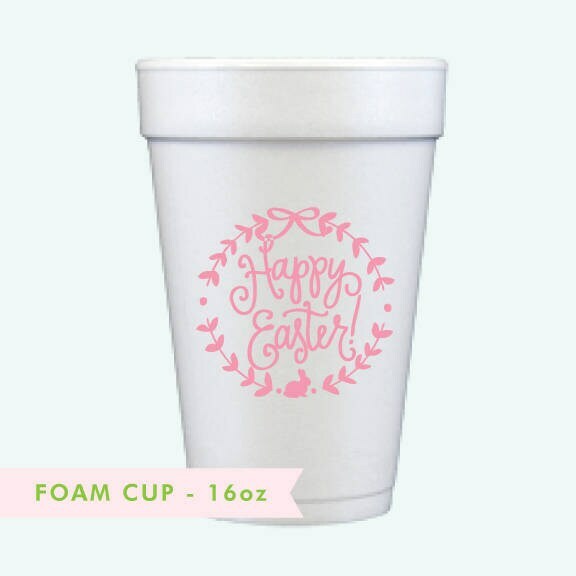 Styrofoam Cup perfect for your Easter parties - keeps beverages hot or cold! 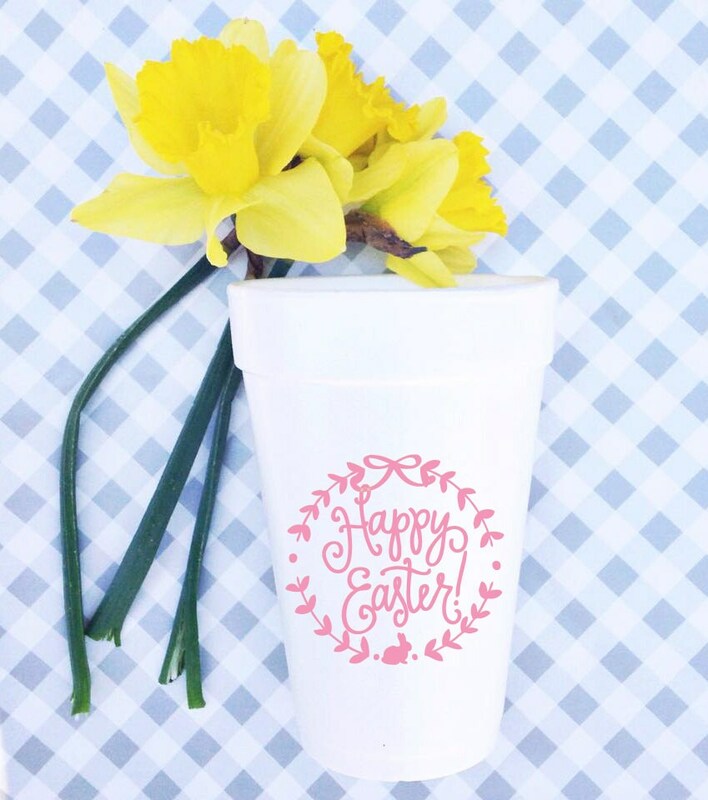 Hand-lettered "Happy Easter" printed in pink green on the cup with a wreath and small bunny! Matching Reusable Cups, To-Go Coffee Cups and Napkins also available.